Southern Hemisphere citrus giant San Miguel has carried out its first ever exports of Hass avocados from its farms in Peru. 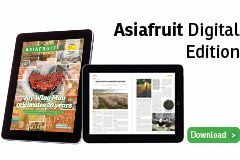 The move comes a few months after the company embarked on its product diversfication strategy with its first table grape shipments from Peru following its acqusition of Agrícola Hoja Redonda in August 2017. The company expects to ship a total of 5,350 tonnes of avocados this season to Europe, the US and Asia. “The season is developing with great success and according to plan. 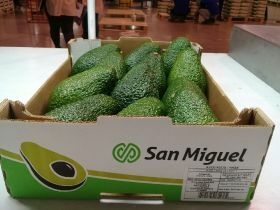 It is the first time that we export avocado from San Miguel and this is undoubtedly a great challenge that fills us with pride,” said Claudio Albarracín, San Miguel’s general manager in Peru. Global avocado consumption has grown strongly over the last decade, a trend that San Miguel expects to continue in the coming years. Peru is playing a greater role in international supply, having seen its production increase by 14 per cent a year between 2012 and 2016 – well above the global average. “We are focused on learning about this crop and consolidating our position as suppliers of the most developed markets, but at the same time we do not rule out future possibilities for growth in this segment,” said Albarracín.